Multi-instrumentalist musician, producer and much more Marc Copely gave us a few minutes in advance of JD & The Straight Shot’s upcoming opening slot for The Eagles when the legends of West Coast rock fresh off their historic night at the Grand Ole Opry triumphantly return to Nashville for two shows at the Bridgestone Arena on March 23 and 24, 2018. In our brief conversation he gave it to us straight on a variety of subjects. Thanks, Marc! We enjoyed it. 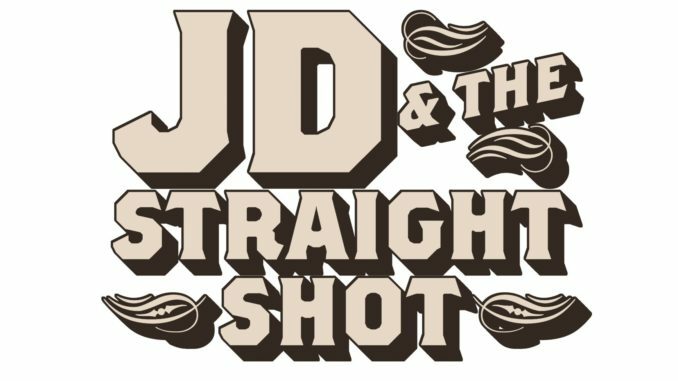 MCN: JD & The Straight Shot has opened for The Eagles in the past. With the untimely passing of Glenn Frey, they are essentially a new band with the addition of two players – Glenn’s son Deacon and Vince Gill. How is the dynamic of touring with the Eagles different now than before? Marc Copely: Well, we haven’t played our first show with them yet, but I’m guessing the dynamic will be similar though Glenn was such an incredible friend to us in the past. He was supportive and we always looked forward to seeing him and talking here and there at shows. He has the rock and roll in him and I’m sure that will be missed. MCN: It’s been a very rough few years for music with the loss of musical greats like Glenn Frey and others. What’s your take? Marc Copely: It’s as natural an evolution as there is in life, but I’ll miss them all dearly. They were the ones who inspired me to pick up a guitar and sing and that’s been my heartbeat since I was a young lad trying to learn how to play “Rebel, Rebel” or “Take It Easy”. 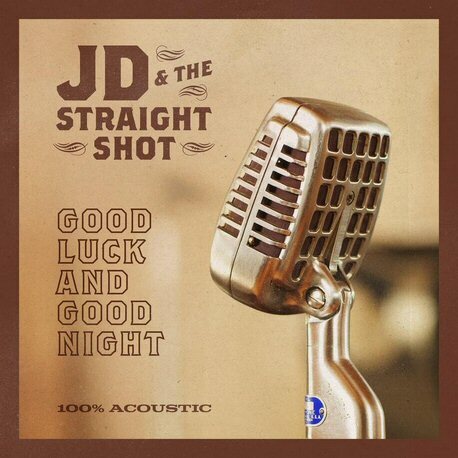 MCN: There is a song on JD & The Straight Shot’s new album Good Luck And Good Night that is an homage to Glenn Frey. Please tell us about it. Marc Copely: You’re talking about “It’s Your World Now”. Glenn and Jack Tempchin co-wrote that song and they recorded it on the Eagles album Long Road Out of Eden. JD came in with it one day and played it for us and we were all astounded at how well they framed the thought of leaving this physical world and what you leave behind. It plays like a goodbye letter that also offers some great advice. To quote the song: “Be part of something good, leave something good behind”. Amen to that. Marc Copely: The most challenging was editing my own playing, and when I mixed it, to make sure I wasn’t ducking my guitar down too low. haha! My favorite part is that I absolutely love being in the studio and creating. I love the process and love the challenge of putting together something that has a soul of its own. The band was a huge help as well and intimately knowing their individual talents gave me a leg up. We’re a band that’s been on tour for a while, and all I wanted to do was capture what we sound like at this stage. Marc Copely: We used to be an electric blues type of outfit. Now our sound is very much based around acoustic American roots music with a bit of 60’s psychedelia thrown in for good measure. When we play, it’s 100% acoustic now. MCN: You’ve worked with and toured with many impressive groups and acts in your career. What have been some of your greatest experiences in music to date? MCN: I see where you recently toured with Billy Squier. We love him and in an interview with him many years ago he was very open about the mistakes that effectively halted his sky-rocketing career back in the mid-80’s. Did this ever come up during the miles you spent on the road with him? Marc Copely: It did. Billy is totally open about business mis-steps he made in the past and they have been widely noted so it’s really no secret. That aside, Billy was amazing to work with and for, and he’s a very good friend. Our guitar playing really complimented one another and it was a blast! We played through his old 100 watt Marshall amps every night! How can you not have fun doing that? And it’s hit after hit song-wise. We used to open with “Lonely is the Night” then into “The Stroke”. I mean, come on, who can’t have fun doing that? !